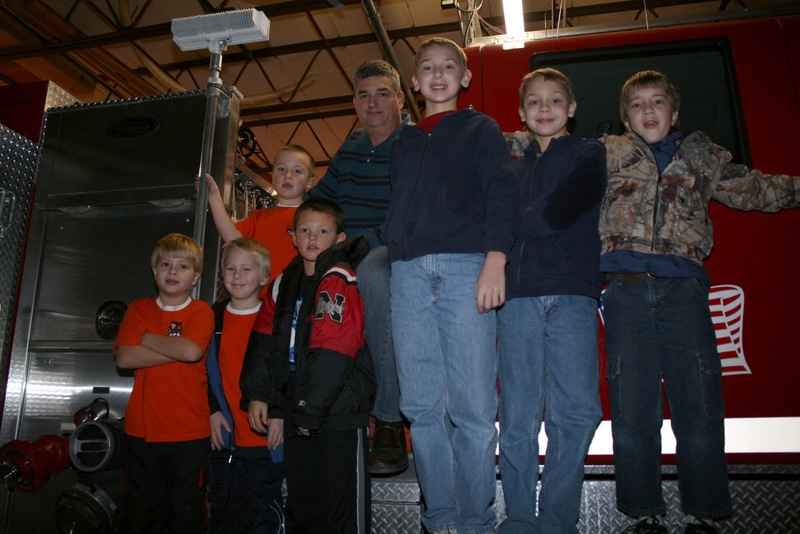 Exeter Fire and Rescue Department member Mark Beethe gave the Exeter Pack 218 Cub Scouts a tour of the Exeter Fire Hall Monday night.Pictured left to right are Tiger Cubs Ben Bartu, Braden Capek, Alec Schlueter, Wolf Cub Jackson Beethe, Mark Beethe, Trystan Brandt, Webelos Peytan Brandt and Joey Bartu. Beethe showed the scouts all of the gear the firemen wear in a fire. Beethe explained to the scouts that if they are ever in a fire and see someone wearing all of the equipment that they won't be able to understand the fireman but they should do what he says. Webelos Scout Peytan Brandt tests the weight of an air tank while Fireman Mark Beethe looks on. 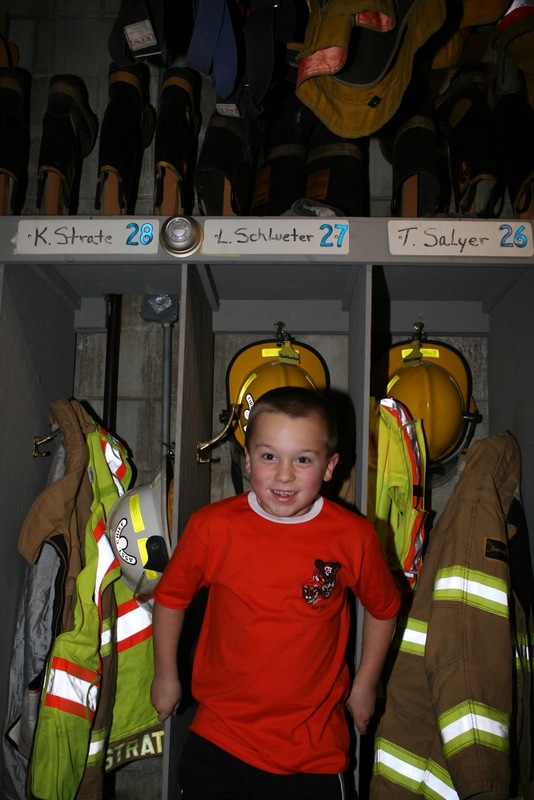 Tiger Cub Alec Schlueter proudly stands in front of his dad, Lin Schlueter's, locker at the Fire Hall. 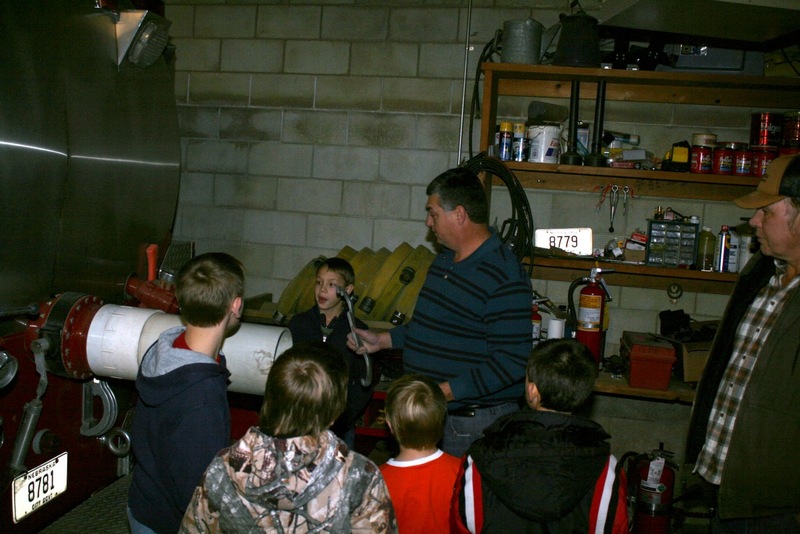 The Exeter Cub Scouts got an indepth look at all of the fire equipment as well as lots of safety tips during the tour of the Exeter Fire Hall. 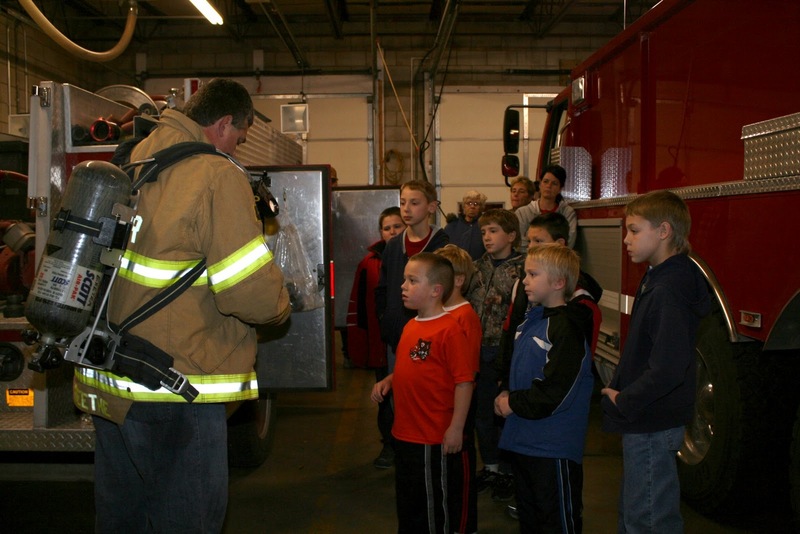 Exeter Cub Scouts got a tour of all of the fire and rescue equipment from Fire and Rescue Department member Mark Beethe on Monday evening. The scouts started the evening asking Beethe a few questions about his training and his experience in the fire department. 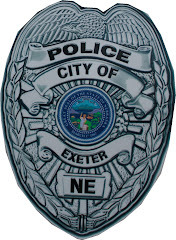 Beethe explained the many hours he spent training and testing to receive his EMT certification. The scouts wanted to know about the worst fire he had experienced and if he had ever been frightened. After answering their questions Beethe led the scouts to the rescue unit. The boys were able to get inside the unit as Beethe explained how the calls are answered and how the patients are transported. 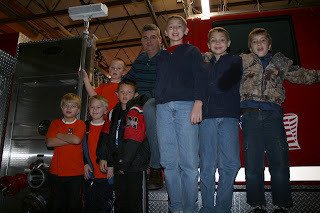 From there the group toured the attack truck. Beethe donned his fire garb and then brought out a tank and a mask for the boys to see. 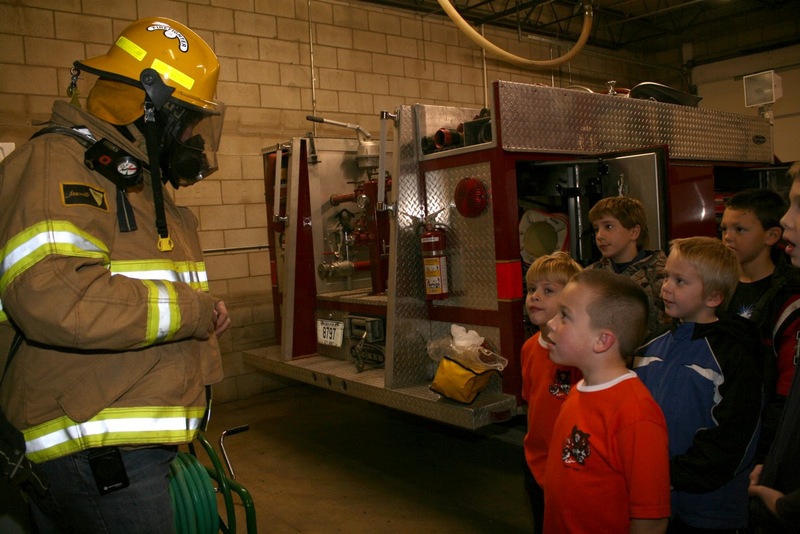 He modeled the equipment and showed how the mask garbled his words encouraging the boys to make sure they follow the direction of a fireman if they are ever in a fire - "he's not an alien," said Beethe. 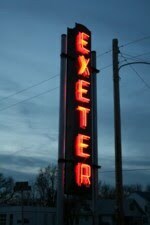 In other words they shouldn't be afraid of the strange voice and the scary mask if they are in a fire. 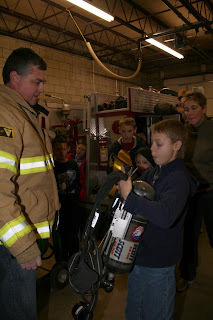 Beethe showed the boys the jaws of life and some of the other equipment the department uses on their calls. Next the boys moved on to the two large fire trucks. Beethe showed them the trucks inside and out, noting the water canon on the large truck and he also showed the boys how the side tank comes out on the tanker truck to provide extra water capacity onsite. After taking a group photo, the boys thanked Beethe for the informative night.